If you have useful security resources that you'd like others to know about, feel free to reply and share them here. I'll occasionally update this post to add more. Resources from this thread have been loosely adapted into a "meta-guide", which can be found here: Current Digital Security Resources. Hi all. Thanks for linking to my Source posts. I've recently started revising my training approach to try to organize it around the problems journalists face (e.g. first contact, transferring files, etc.) This is a talk I gave two weeks ago about all this. Here are some posts I've written about operational security. In general, I don't focus on writing about journalist specific issues, but rather on using existing case studies to explore some relevant facet of security. This partial collection of posts and presentations is, I think, sufficiently generic and relevant that any reader will be able to find lessons to apply to their own personal security. Operational PGP - a guide to secure email, using PGP. Free Security Advice - generic security advice, simply secure. I maintain a blog at Brown Hat Security on various mostly-infosec related topics. The folks over at Alienvault have a section with guest posts that I've contributed to; there's a wide variety of content there on various subjects, albeit a bit scattershot. There's some very useful tools available through Shodan for basic evaluation and information gathering. In a similar vein, Censys offers highly useful information as well. "Difficult Targets" (Lecture). Tim Jenkin, Matt Kennard, Stefania Maurizi, Paul von Ribbeck, Matthias Spielkamp. Logan CIJ 2016. The main thing I'm working on right now is a trust-nothing guide to PGP. It's a gitbook managed in this github repo: https://github.com/ojkelly/paranoidmode.com (contributions welcome). I've found every PGP tutorial to either be missing information, out of date, or unsafe. So the intention is to keep this forever up to date. The intended audience is someone that is either a programmer, journalist, network administrator or sysadmin. Anyone who regularly uses PGP. I'm not convinced we should advocate PGP/GnuPG at all. Great resources list. I just wanted to make a blatant plug for a tool which has tried to pull together lots of different guides into the one place. 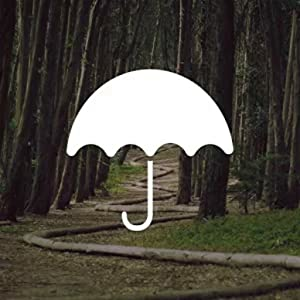 It's called Umbrella - and it's a free, open source, Android app to help journalists/activists/aid workers manage their digital and physical security. The lessons give you simple, practical advice on what to do and what tools to do it with – covering everything from sending a secure email to conducting physical counter-surveillance. You can choose your level of ability or type of protection needed and get answers that reflect your needs. Users can mark, customise and share simple checklists for quick reminders. It also has a series of security information feeds from places like the UN and Centers for Disease Control to keep you updated on the move. We're always looking for feedback, so please drop us a mail! Just wanted to point out, it's is a community effort! It has some strange formatting as things are a direct port of Umbrella App (to make it easier for pulling/pushing changes etc). Overall, I remain anxious about any "use this tool to be safe" narrative; even when hedged (as such narratives tend to be, for a desultory sheen of credibility), they feel very dangerous. And I know people don't know how much to heed the hedges, or what the hedges mean. There's just no substitute for knowing your adversary's capabilities, and knowing your own, and then doing what your adversary can't do. But there's no recipe for that. I fully accept your point, but realistically 80% of users in a training don't know how to properly assess changing digital risks or are not willing to fully implement a security solution which exactly measures that risk. Unfortunately we also lack resources which allow you to essentially type in which country you are in and job role etc and see what measures you should be taking. It's available for physical stuff like kidnap but not really digital yet. Though I know that Seamus Touhy at Internews is doing his best to start this process by collection digital threat intelligence resources into a spreadsheet, for use by digital trainers. So... can we see Seamus' spreadsheet? Sounds useful. I believe that Rory is referring to the threat intel spreadsheets I created for Rights Con. The raw link spreadsheet contains a large (150+) dump of unsorted resources, organizations, etc that I have used, or thought about using for digital security risk modeling as well a variety of resources submitted by others before the workshop. The clean list contains a very short list (38) of hand picked resources by the participants during the session that they thought were especially useful. I am still planning on cataloging these resources to make it easier for others to use so if you have organizations, mailing lists, websites, wikis, news feeds, data sets, etc. that you use to build your situational awareness, inform risk/threat assessments, or get up to date information or analysis on human rights & Internet freedom issues and incidents please feel free to submit a resource. I know there are a bunch that still missing from both lists that I have not had a chance to add. I hope there are even more than that I don't know about. And is mostly toward people designing systems. Love it! And it could also help to navigate what to look for in the software we use. Prepare policy commentary for quick response to crisis.